Yesterday was National Heart Awareness Day For Women or #GoRed sponsored by the National Heart Association! All day we saw women and men dressed in red! What a great excuse to #GoRed for such a great cause! 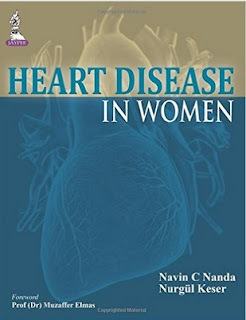 It is a very important thing to be aware of, since 1 in 3 women die of heart disease or stroke and it is 80% preventable. Since that is such a staggering figure, one needs to ask why has it been so hard to prevent thus far? One of the major things that has emerged, thanks to some very influential women, is that women are different than men, therefore studies need to be done on women for women, instead of the opposite. Previous to this, men had been the majority of test subjects for heart disease for women. For example, the 1982 Multiple Risk Factor Intervention Trial, one of the first to establish a link between cholesterol and heart disease, involved 12,866 men and no women; the 1995 Physicians’ Health Study, which found aspirin to reduce the risk of heart attack, involved 22,071 men and, again, no women. This has slowly begun to change thanks to strong and influential advocates like Barbara Streisand, who came out strongly about the above discrepancy and has been a major player and advocate in the women & heart disease discussion. The Barbara Streisand Women's Heart Center is playing a leading role in identifying female pattern heart disease, developing new diagnostic tools, and advancing specialized care for women. 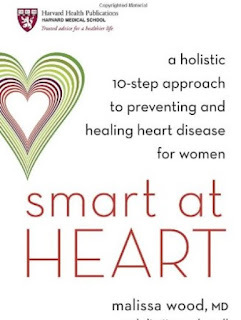 It's director, C. Noel Bairey Mertz, MD states, "We are just at the beginning of understanding the difference between the sexes when it comes to heart disease." 1. Uncomfortable pressure, squeezing, fullness or pain in the center of the chest. It lasts more than a few minutes, or goes away and then comes back. 2. Shortness of breath, with or without chest discomfort. 3. Pain or discomfort in one or both arms, the back, neck, jaw, or stomach. 4. Other signs such as breaking out into a cold sweat, nausea, or lightheadedness. 5. As with men, a woman's most common heart attack symptom is chest pain or discomfort. But women are more likely than men to experience some of the other more common symptoms such as shortness of breath, nausea/vomiting and back or jaw pain. Do these symptoms smack of other common diagnosis'? Actually, they do. What about an anxiety attack? The flu? Very similar symptoms occur with those. But I would say err on the side of caution. If you are experiencing at least 2 of these symptoms, you need to be alert to the implications and see a doctor as soon as possible. 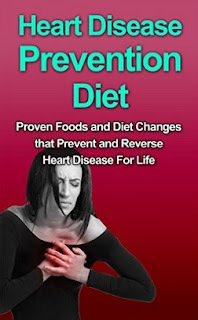 If you would like to learn more about this too silent of a killer, there are excellent books now being published on the subject that include prevention strategies, as well as early detection methods. I hope that by writing this non-sponsored post, that I will help just one woman live the life she was meant to live and not leave us prematurely! I received no compensation to write this post. Affiliate links may be used to help support this site. All opinions are 100% my own and are not swayed by sponsor affiliation!